SPORTS Silver fencing has been designed with a professional touch. 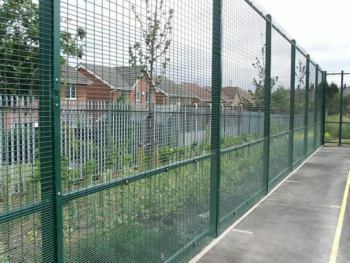 This unique fencing system is most suited for medium to higher impact sporting fencing applications. With its unique design concept silver is ideal for schools, urban areas, sports grounds, football pitch fencing, tennis court fencing, hockey pitch fencing & multi-use.